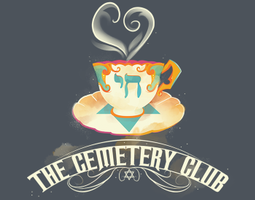 Pensacola Little Theatre (PLT) proudly presents The Cemetery Club, sponsored in part by Temple Beth El. The Cemetery Club is the story of three Jewish widows -Ida, Lucille, and Doris- who take the audience on a heartfelt journey as they learn to live beyond the passing of their husbands. Show dates: Friday, January 18th – 7:30 pm Saturday, January 19th – 7:30 pm Sunday, January 20th – 3:00 pm Thursday, January 24th – 7:30 pm Friday, January 25th - 7:30 pm Saturday, January 26th - 7:30 pm Sunday, January 27th – 3:00 pm with senior, student, military, and group discounts available.